Remember the birth of the Squeezebox? Launched in 2003 as the SliMP3, it was an MP3-only device with a wired connection, and required someone on the level of a computer programmer to interface it with its host computer – or so it seemed. Subsequently the Squeezebox a proper followed two years later and added Wi-Fi, a digital output and native support for PCM, thus conferring audiophile status of a sort. It proved a success with geeky early adopters, and the brand was finally on the map. It then underwent a name change as Swiss company Logitech acquired it from SlimDevices. It wasn’t until the 2005 Squeezebox II with its better display and FLAC functionality that I thought they’d ever catch on. Still, it was still a case of ‘close but no cigar’, and it took the Duet with its swisher user interface to really make me think this could be a mass market sales success. Yet still it seemed just a tad too fiddly for its own good – what we needed was a simple iPod Touch-like control process that you could use without the need to fumble with remote controls and/or fiddly buttons. Finally, in 2010 we got precisely this, in the shape of the £250 Squeezebox Touch you see here. Compared to that first SliMP3 it’s practically other worldly, so advanced it seems. Instead of a dot-matrix fluorescent display that early computer audiophiles would have had to squint at, the Touch gives you a very nice 4.3 colour screen that’s easy to read across a room. It works, unsurprisingly, in a very similar way to the aforementioned touch-sensitive iPod too – whilst its menu system isn’t an exact copy you could say it’s certainly an affectionate homage! This is of course no bad thing; I don’t know if it’s because I’ve learnt the Apple navigation system, but it certainly feels about the most intuitive I’ve come across. On first switch on, the Touch asks you if you want to connect via a wired or wireless link. Computer audiophiles the world over are now in general agreement it seems that the former sounds better, but as network music players are supposed to be all about convenience I opted for the latter. Next, the Touch goes looking for your router, and then once found it asks you to select it (it found my neighbours’ Wi-Fi network too, a good 30m away, so it’s got a great range). You then enter your password and pair up the unit to your computer. There’s a wide range of platforms from which the Squeezebox server can work, including Windows 2000/XP/Vista 7 and Linux RPM, as well as Mac OS 10.4-10.6. As soon as the Squeezebox Touch has found your computer on the network, you can access your music through a series of menus, just as you would with an iPod. So you can search by artist, genre, title, and so on. Unlike some touchscreens there’s a really positive feel to using it, helped by an internal beeper that registers your touches. Of course, you’ll need to connect it to your system. Round the back there’s a 3.5mm headphone output, a pair of line level RCA analogue phono outputs, a choice of optical and coaxial digital outputs, a USB input (for flash memory drives) and an Ethernet port, plus a power socket for the supplied ‘wall wart’ mains adaptor. I started my listening via the analogue line out, and moved to the digital out later. The unit itself is all plastic, but is nicely finished and certainly doesn’t feel as cheap as some. It measures 215x131x246mm and weighs 1.4kg. The Touch doesn’t sound anywhere near as cheap and nasty as the Squeezebox 2 of five years earlier. It’s the not the last word in digital sophistication of course, but still gives a tidy, smooth and engaging sound that belies its modest status in life. Bass is lithe and fairly tuneful, midband clean and well defined, and treble reasonably smooth and delicate – there were certainly no nasties of the sort you’d expect from an entry level network music player such as this. I wouldn’t say this is as good sonically as its Cambridge Audio NP30 rival (£400 when launched in 2011), sounding a good deal thinner and less incisive at the frequency extremes, but it puts in a decent performance all the same. Piped out into a DAC the sonic bar is raised quite noticeably; an Arcam rDAC will give a more solid and fluid bass, a wider and more deep midband and a delicate treble which has real atmosphere and space. Via Wi-Fi, the Touch doesn’t match a good CD transport as a purveyor of digits, sounding just a touch opaque and two dimensional, but you can nevertheless get a very good sound. If you’re really fastidious then you’re going to have to get the likes of a Musical Fidelity CLiC and attach it via ethernet, or better still a Linn DS or Naim running via wires. 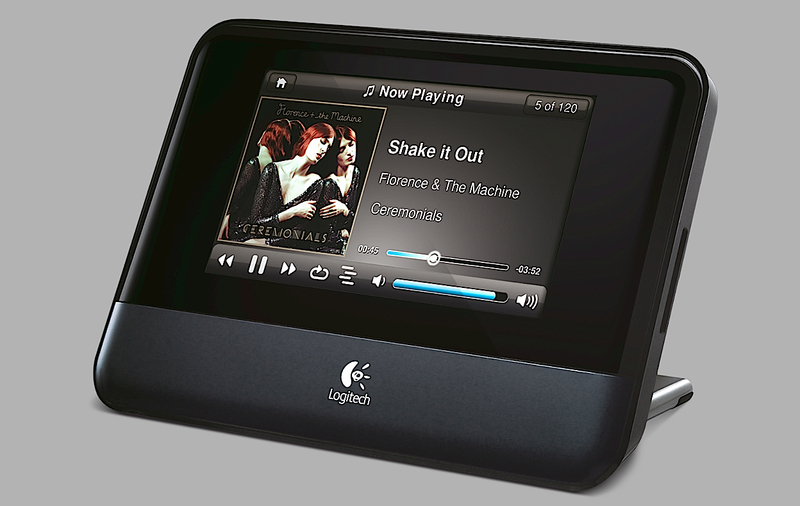 The Logitech Squeezebox Touch is a great starter network product. If you want a decent sound – with the facility to upgrade significantly via its digital output – allied to a really easy to use unit that makes computer audio a pleasure rather than a chore, then this is the gadget to get. Sadly, despite selling very well, it was discontinued in 2012, but is still readily available on eBay for £150 or so. There is better sonically available, but if you want it then be prepared for a fiddly user interface and long runs of ethernet cable. For me, the Touch was by far the best and most ‘useable’ Squeezebox, and a worthy last of the line.